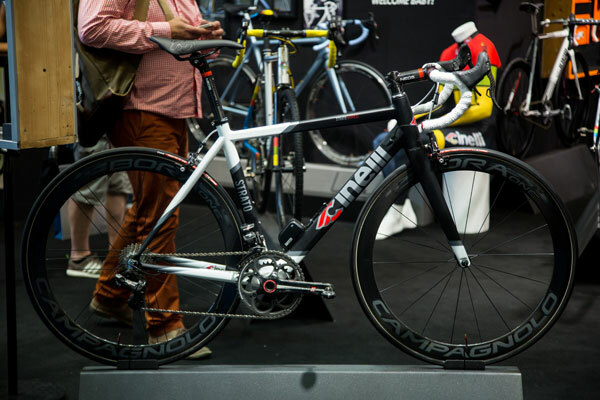 With so many bikes at the show, it was hard to pick out the gems, but we managed to find a few. 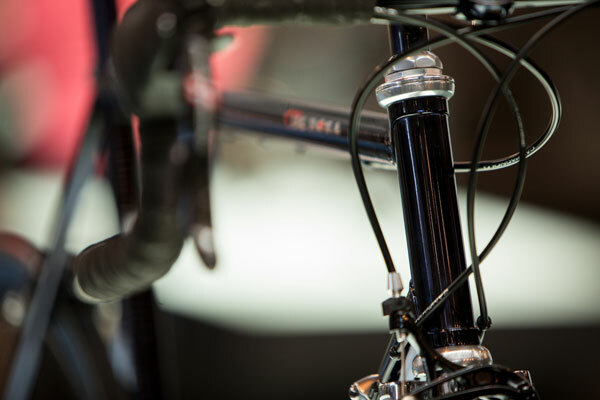 From old-school steel bikes, like the De Rosa ‘black label’ Sessanta or the Koga Miyata, to the modern titanium of Van Nicholas Zephyr there was something for all tastes. 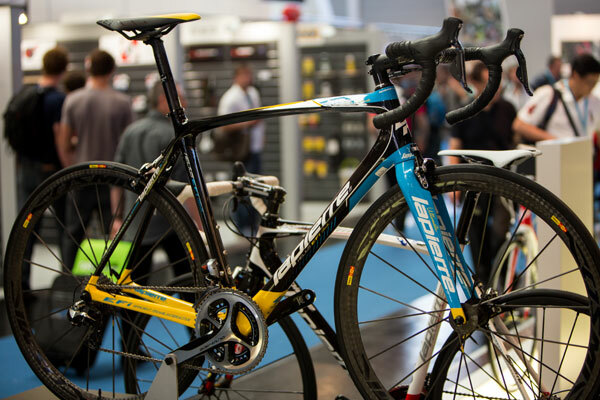 We also liked the latest offerings of road-going aero bikes from Giant, the Propel Advanced and the Swift Ultra Voz TI showing there is still a strong demand and advantages in usable aerodynamics. 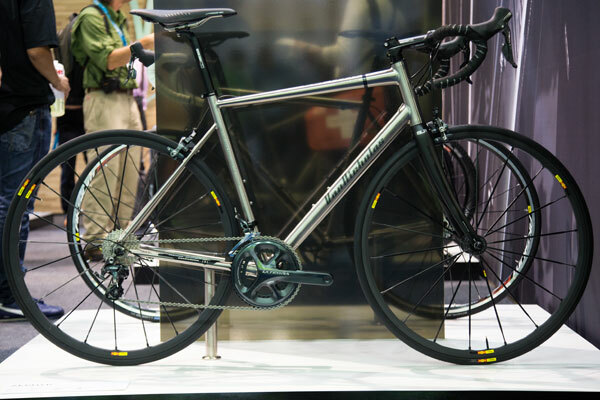 Van Nicholas Zephyr – AKA The Cobble Conqueror, a modern take on the classic titainium bike, featuring 3D dropout, pressfit BB, internal cable routing and electronic shifting compatability. 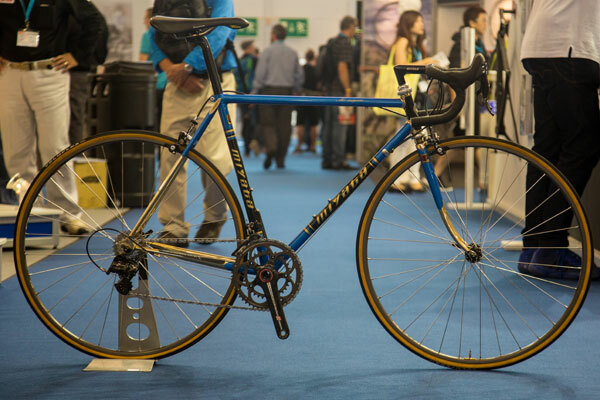 Swift Ultravox-Ti. 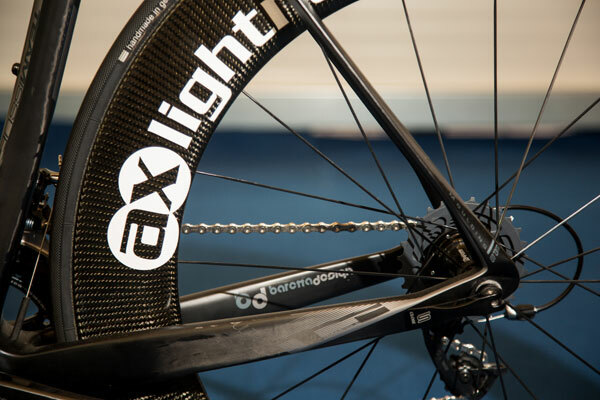 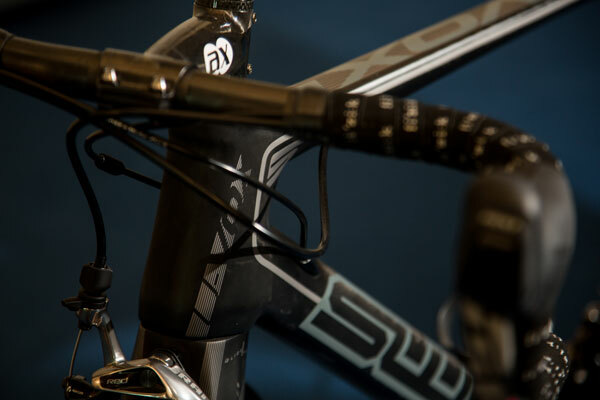 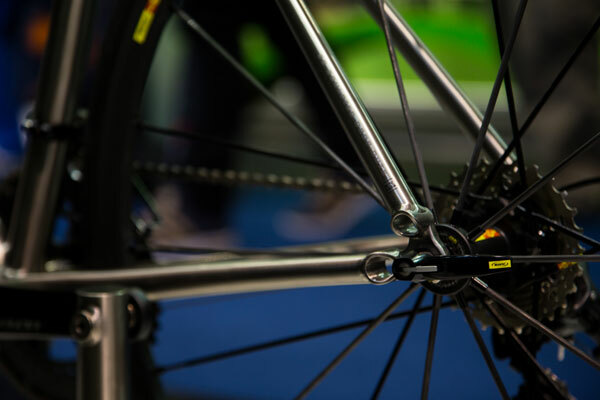 The team issue (Ti) version of the Ultravox uses Mitsubishi-Rayon 40 and Toray T1000 carbon firbre sees stiffness increased and weight reduced for the 2014 version. 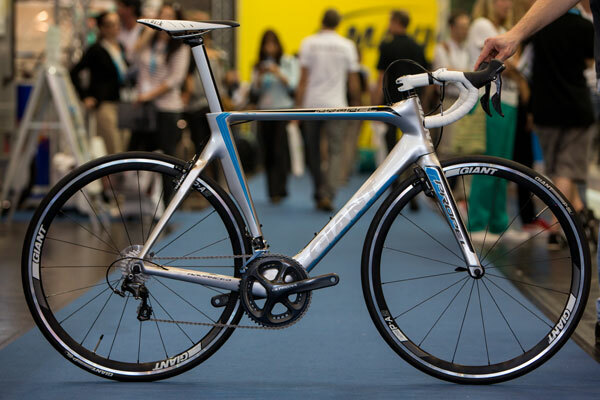 The ORAG Firebird is more akin to a tropical fish in the Eurobike build colourway. 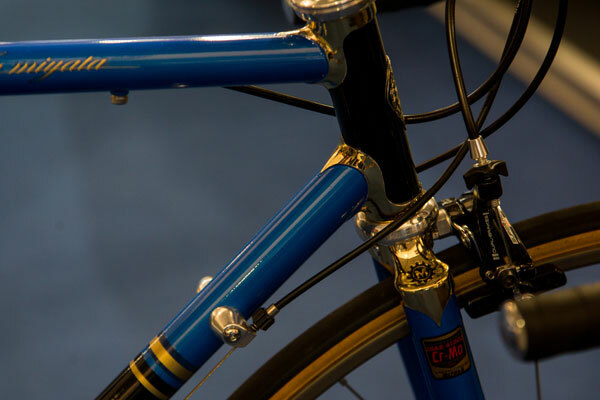 Koga Miyata – The Miyata blends tradition with new-school know-how. 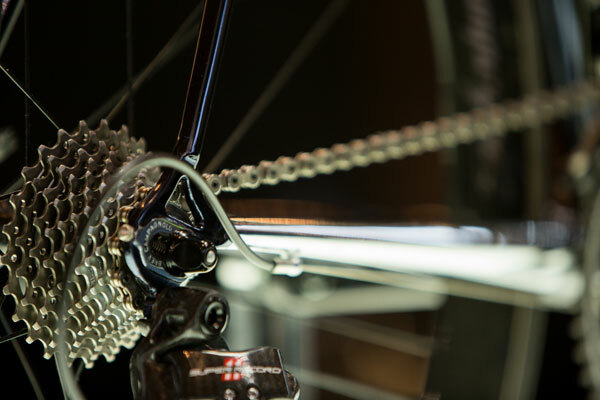 The quill stem and intracate lug work stands out against the modern Campag carbon fibre groupset. 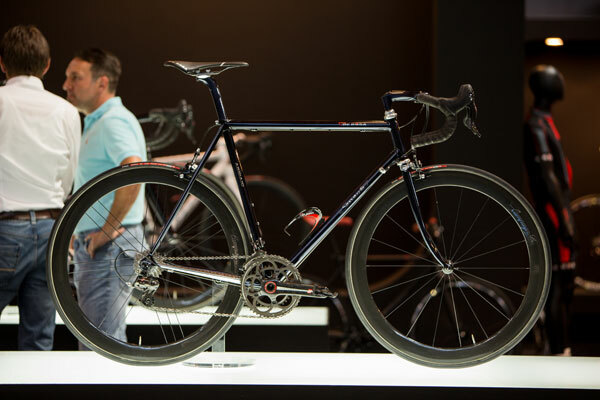 De Rosa Sessanta. 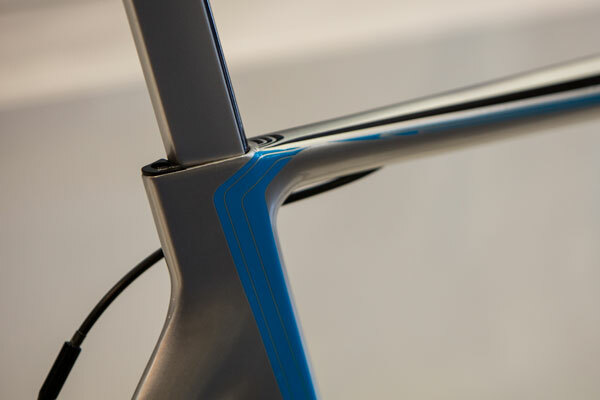 Another traditional steel frameset, but this time selecting a more subtle paint scheme which seems to tie the new and old together better. 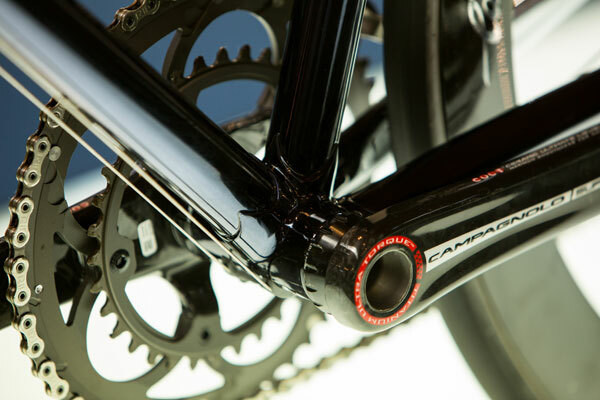 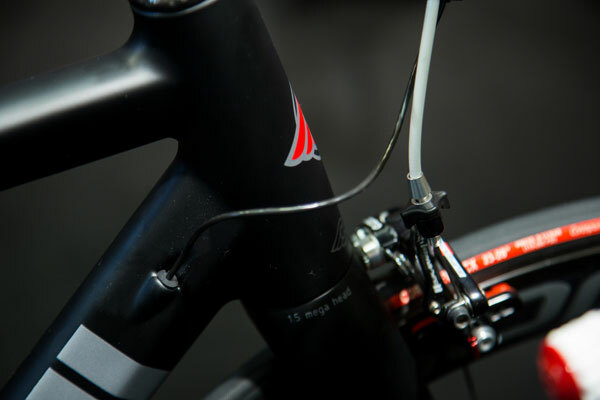 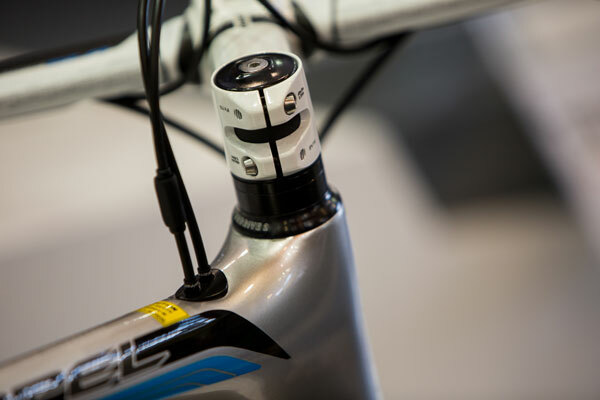 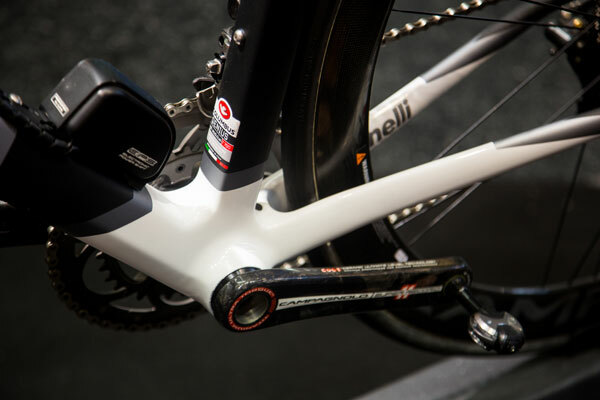 Cinelli Strato wired keeps a clean look for 2014 with internal cabling, but not yet gaining an internal battery. 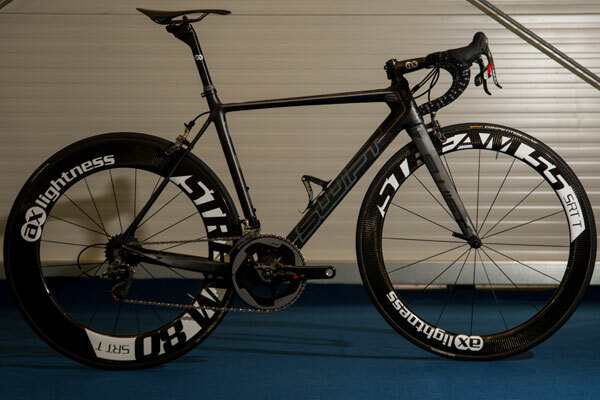 This Lapierre Ultimate EFi comes with Dura Ace Di2 11speed and Mavic Cosmics, but can be specced anyway you like with its ‘Ultimate’ programme. 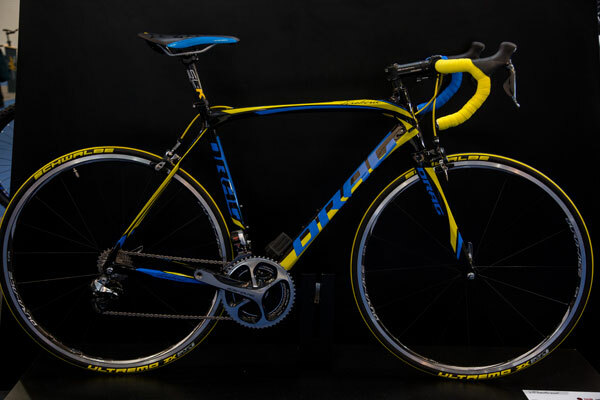 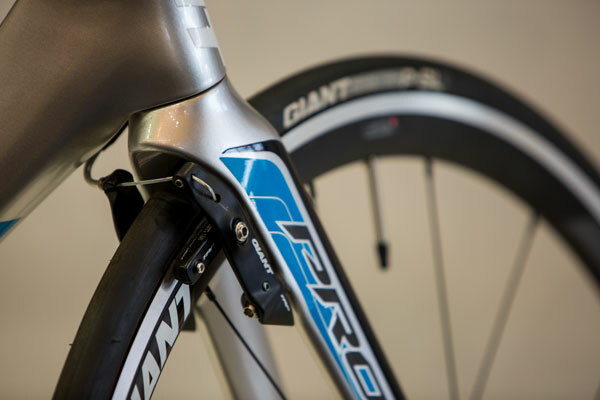 Giant Propel Advanced was a hidden gem, a regular seatpost version of the Propel gives class leading aerodynamics, but keeps the convenience of a seatpost you can remove.